Today’s slot review comes to you from the side of an enchanted wishing well in the middle of a magical woodland. Right from the off, it’s obvious that all is not what it seems on Well of Wonders. There is no gameboard in a traditional sense. Symbols instead float in the air above the wishing well that spat them out. Matching three or more of a single symbol type will award a prize. In terms of special features, the Well of Wonders might be a little lacking. However, one of the features it does include is a potentially deal-breaking one. 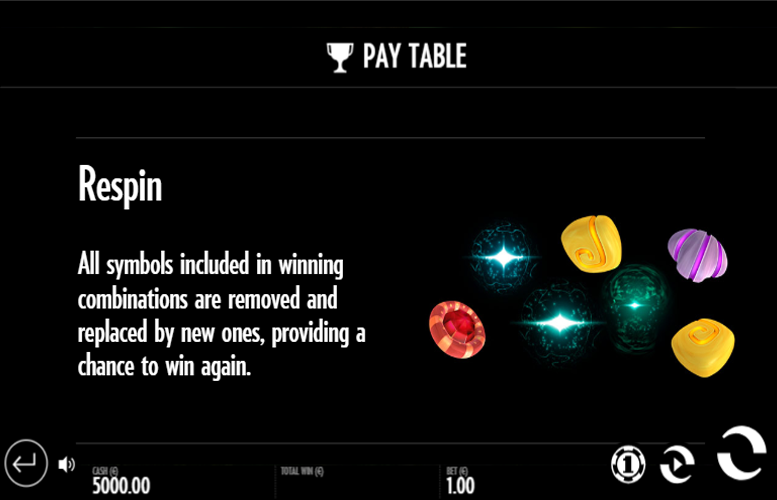 Losing symbols are replaced by new ones for free on each winning combination. 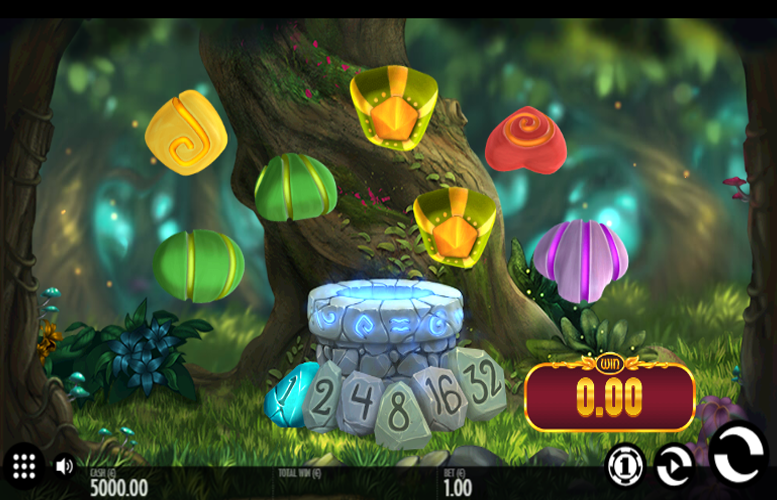 Each time new symbols appear, the multiplier below the reels doubles up to a massive 32x! Incredible art style. Not only is this one of the best looking Thunderkick games going, it’s one of the most attractive slots we’ve ever reviewed! Great concept. We love creative slot machines. Once we learned that Well of Wonders features zero win lines and zero reels or rows, we had to learn more! Decent main game prizes. Ok, so they’re not the five-figure payments offered by some providers but for a Thunderkick game, the pay outs are pretty big! Massive multiplier. Imagine hitting seven-of-a-kind with a 32x multiplier. Now that’s a serious pay day! Limited bonus features. There are no second screen games on Well of Wonders and that felt like a missed opportunity given the enchanted theme. The top jackpots on the Well of Wonders slot machine are each awarded for matching all seven symbols appearing from the well. The symbols themselves are magical looking shapes and have been very tastefully illustrated to help create an air of enchantment around the action. Red circle = 50x the total bet. Yellow blob = 30x the total bet. Red heart = 20x the total bet. Purple shape = 18x the total bet. Orange shape = 15x the total bet. 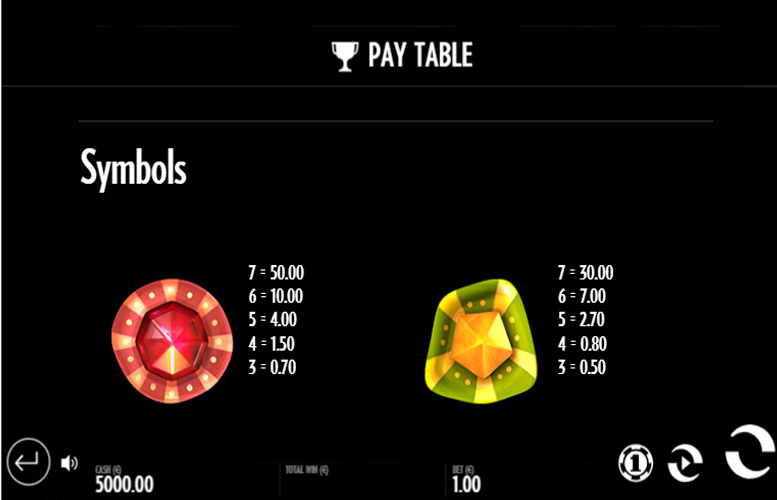 Yellow diamond = 12x the total bet. Green shape = 10x the total bet. Blue triangle = 8x the total bet. Rather than differentiate between high and low symbols as well frequently do, we have instead listed them all above. Thunderkick themselves have not made a clear upper and lower tier of payments so neither have we! 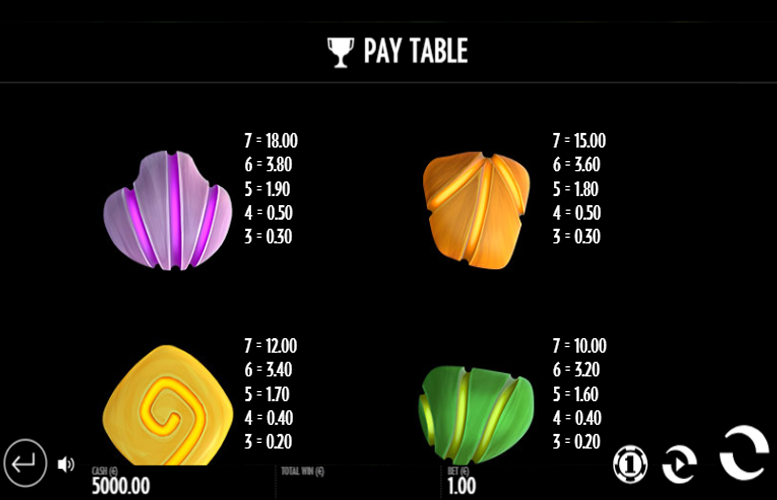 Thanks to its creative take on game structure, the Well of Wonders slot features an innovative way to award prizes. The well itself spits out seven symbols at a time. 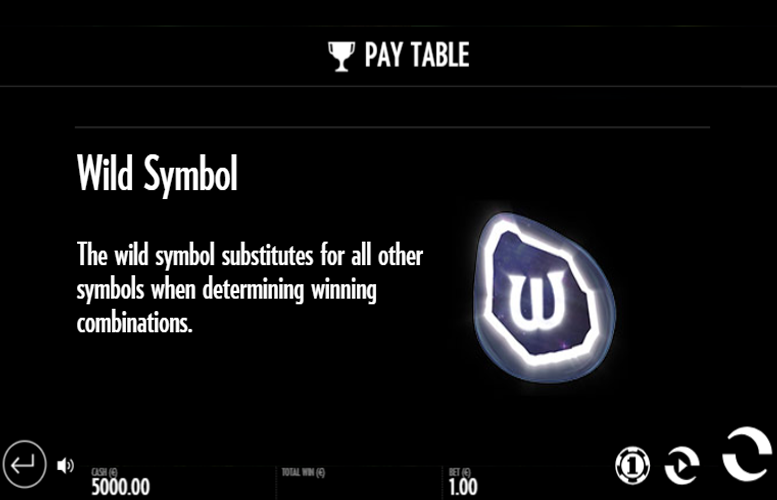 Matching three or more of the same symbol will win a payment. When a winning combination is hit, it is paid out with the currently active multiplier (meter found below the symbols) applied. 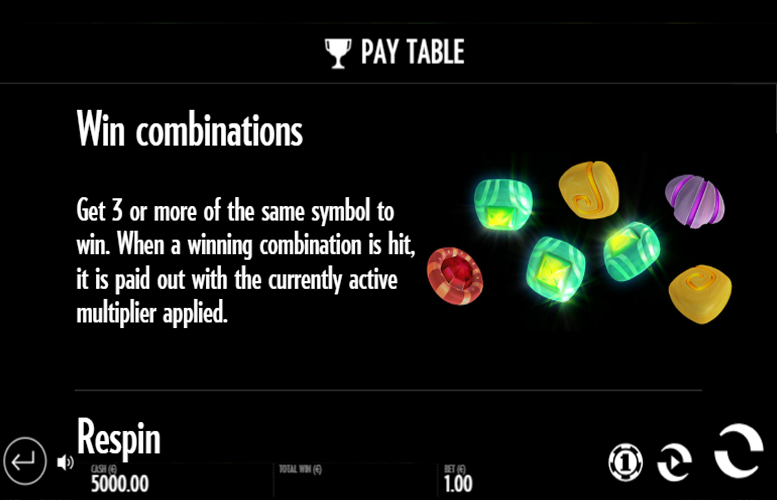 All symbols included in winning combinations are removed and replaced by new ones. This creates additional chances to win. For each re-spin, the multiplier doubles. This can reach a maximum of an impressive 32x the total winnings. The Fairy can appear on any spin. When the Fairy is present and there is no win, the Fairy is activated. This removes all symbols that appear in singular, giving a re-spin and a multiplier increase. In terms of betting limits, the Well of Wonders slot machine does not provide players with much scope to vary their stakes. Since there are no win lines whatsoever so obviously there are no options to adjust them. Nor is there one to alter the amount bet on each one. Instead, Thunderkick have provided players with 12 total bet amounts. These range from just 10p right up to £100. Whilst these are by no means the highest betting limits we’ve ever seen on an online slot machine, they should satisfy all but the highest rollers around. You can probably tell we enjoyed the Well of Wonders slot machine from Thunderkick a lot. It looks, sounds, and plays magically. The creative gameplay dynamic to forgo any win lines or reels was the correct one and the quirky way the game is played is complemented immensely by the enchanting, twinkling soundtrack, and the lovingly illustrated woodland scene behind the well itself. Well of Wonders isn’t just a strong looking game, however. It also has some cool special features that help to really bring the title to life. Chief amongst these is the increasing multiplier on each extra turn following a winning combination. The only minor drawback to the game is a lack of a true second screen bonus feature. However, the rest of the action just works so well that this really isn’t a major concern. We absolutely enjoyed playing this title and strongly recommend giving it a try for yourself! This game has a rating of 4 / 5 with 756 total reviews by the users.